In my line of work, my meals are sometimes planned months ahead. But even such a tight dining schedule leaves a little bit of room for serendipity. In this case, it was a for-work visit to Costello's Market that brought me to my latest discovery. 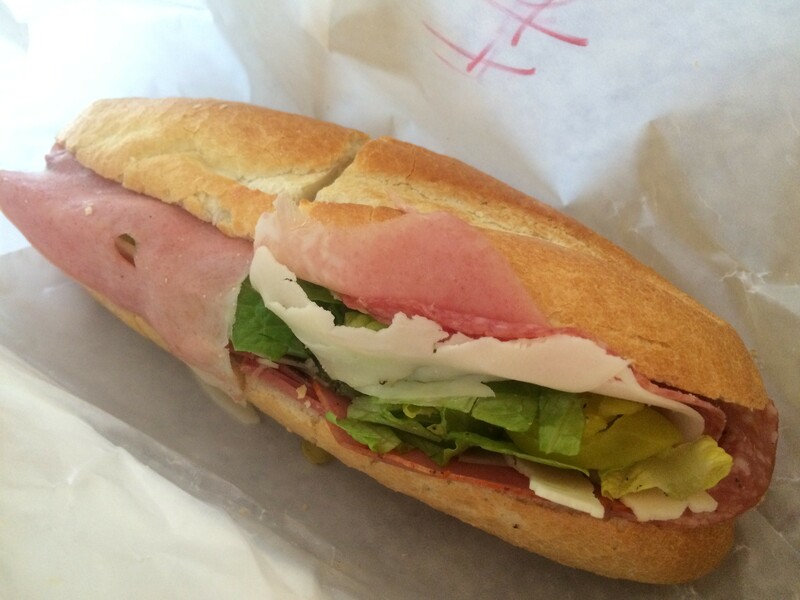 I was loaded down with stuff like this perfect Tutto Italiano sub. I had a bag full of porchetta sandwiches and fish tacos with nowhere to eat them, since there's no seating at Costello's. 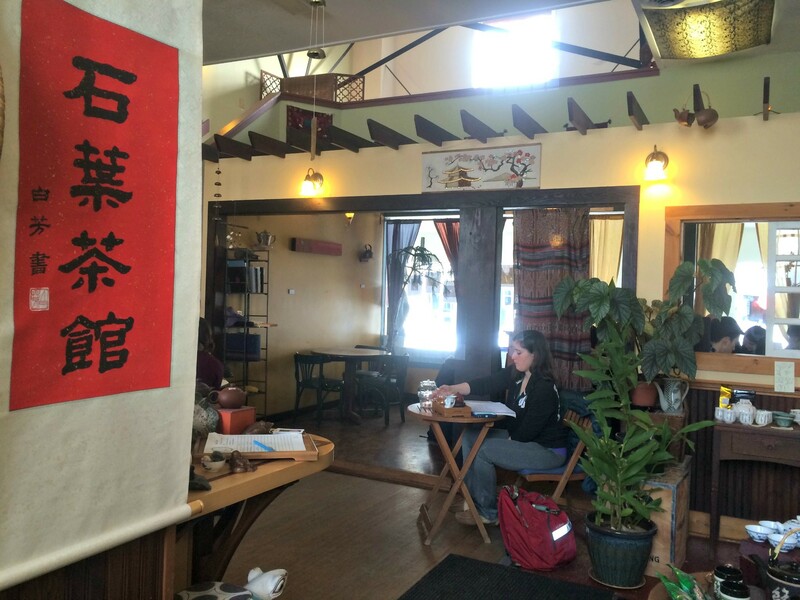 But owner Carolyn Costello let me know that I'd be permitted to take a seat at Stone Leaf Teahouse, a couple doors down down an alley at Middlebury's Marble Works, provided I ordered something. I thought I might get a cup of tea and be on my way. Instead, I developed a bit of a schoolgirl crush on the teahouse itself. But my feelings for Stone Leaf's wagashi are dead serious. My passion for traditional Japanese wagashi is so powerful, I've thought about writing a book on the subject. Admittedly, Stone Leaf is not serving up whole peaches encapsulated in jelly or mochi wrapped in a cherry blossom leaf, but its tiny sweets hit a similar spot, if a more rustic one. 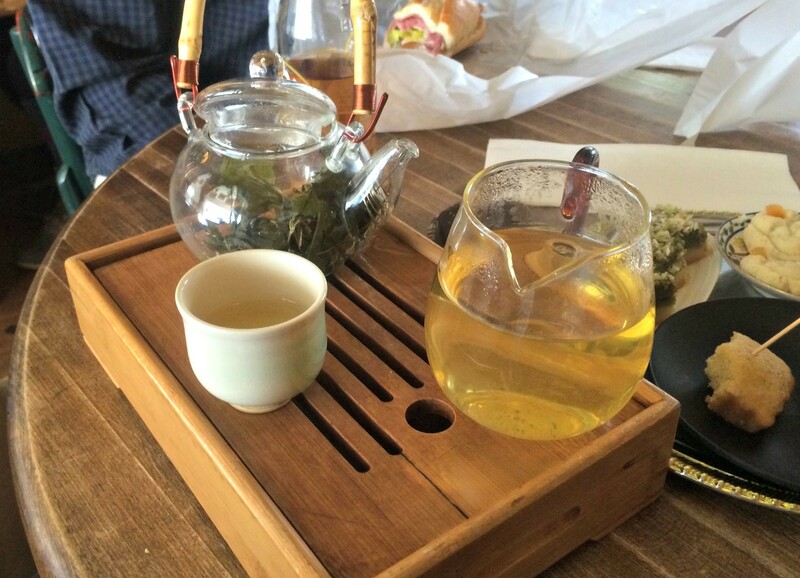 Conceived to pair with owner John Wetzel's vast range of teas, the flavors were delicate but powerful. Rosewater cookies were crumbly with rice flour, which left them a bit dry, but still bursting with a floral breeze of flavor. A pair of feathery light cakes were imbued were lemon and matcha, respectively, then brushed with sticky lemon glaze. 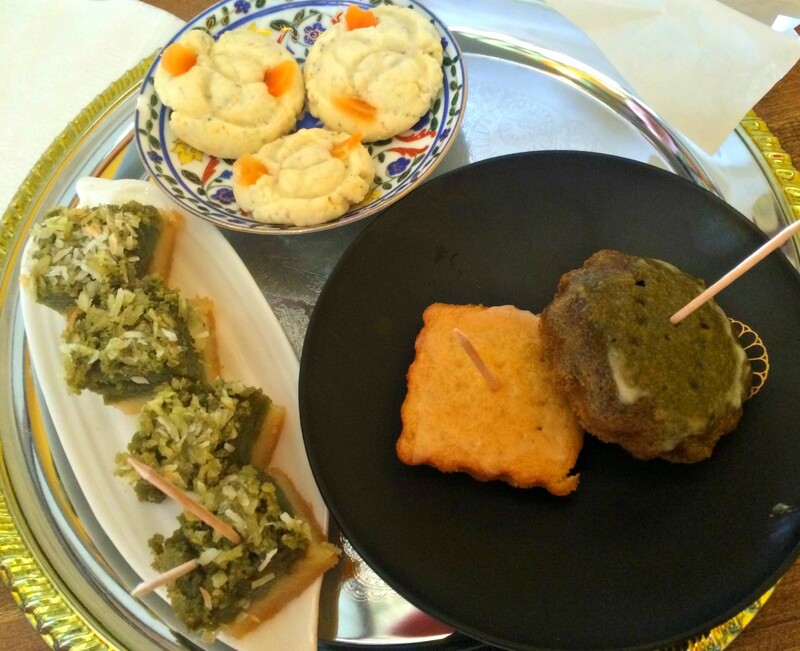 But the hero was unquestionably the plate of four coconut-topped matcha mochi. More buoyant than traditional sticky rice cakes, with a surprisingly dominant taste of egg, the gooey cubes were among the stranger — and more satisfying — fusion dishes I've had in Vermont. The crunchy topping of coconut added its own appeal, but the aromatic earth of the tea stood strong. Afraid to overpower my treats, I stuck to a lower impact tea. Still, I wanted to make sure it was something from Japan, to pair with my Nipponese-inflected snacks. Japanese cherry leaves made an ideal brew, with round notes of vanilla and cherry. I was thoroughly taken in not only by the tea itself, but by its elegant service. Better yet, once I had drained my pot, a server brought another pot of hot water to start again. Clearly, Stone Leaf doesn't have an issue with guests camping out. 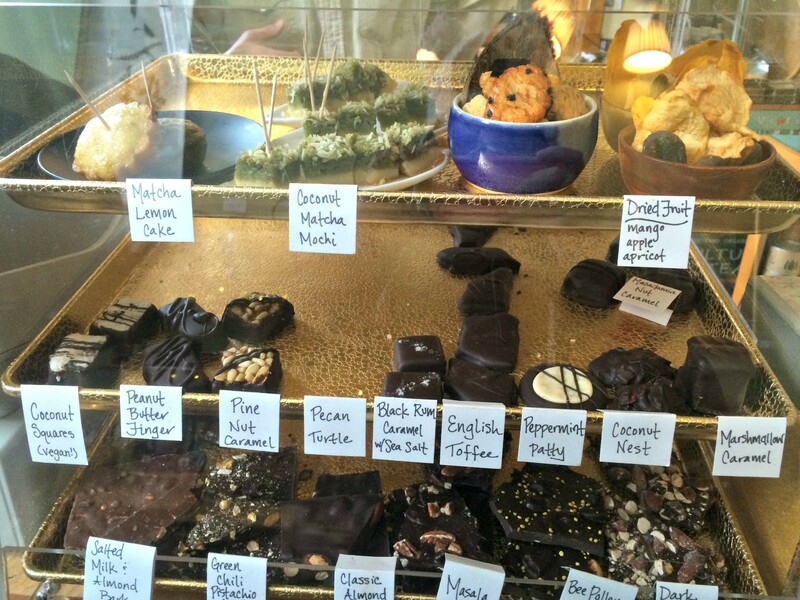 Hint taken: Now it's time to make plans to spend long stretches doing chocolate-and-tea tastings featuring sweets from Vergennes' Daily Chocolate and to globe-trot across the tea menu that spans Asia. Alice Eats is a weekly blog feature devoted to reviewing restaurants where diners can get a meal for two for less than $45. Got a restaurant you'd love to see featured? Send it to alice@sevendaysvt.com.